Does anyone remember a time when Bill Maher wasn’t just a professional troll? 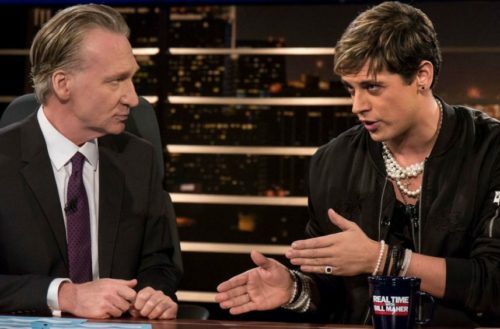 Right after his most recent scandal where Maher said the n-word live on air as his audience laughed — a new Esquire interview came out where Maher said he’d like to have disgraced alt-right douchebag Milo Yiannopoulos back on his show, Real Time with Bill Maher. 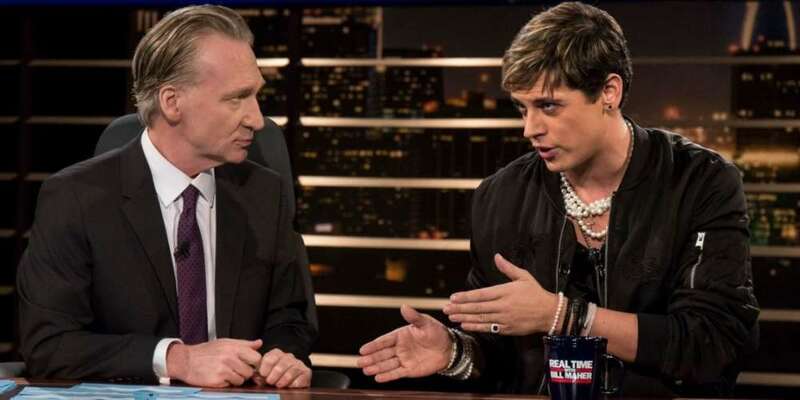 Of course, always the self-promoter, Maher then took credit for Yiannopoulos’ downfall when footage surfaced of Yiannopoulos defending child sexual abuse. It should be noted that Maher didn’t have anything to do with that — the footage was unearthed by the conservative outlet The Reagan Battalion in response to CPAC inviting him to speak. The interview was conducted before Maher’s n-word gaffe, though the timing of the release couldn’t have been better timed to make the pundit look worse. The combination of Maher’s casual racism with his announcement of his desire to have Yiannopoulos back makes clear that Maher’s show is no longer about debate — if it ever really was. Instead, he’s content to chase controversy after controversy in his typically smug, careless fashion. To be honest, it shouldn’t be terribly surprising. Maher’s long been an outspoken Islamophobe. While Maher typically couches it as part of his standard hardline atheism, statements like his “alarm” at “Mohammed” being the most popular baby name in Britain put the lie to that. After all, Maher has never spoken out about being alarmed from other religious-based names. For example — this author’s given name is “Matthew” which means “gift of YAHWEH,” and there’s loads of us around, and Maher doesn’t seem to have any problem with that. We only ask: HBO, what’s taking so long?